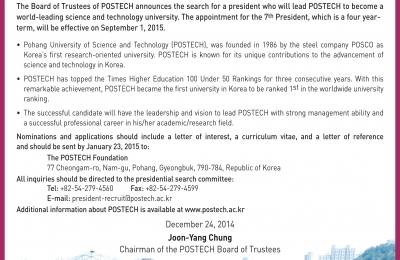 The Board of Trustees of POSTECH announces the search for a president who will lead POSTECH to become a world-leading science and technology.. Disbanding Ceremony of the 4th POSTECH Overseas Volunteer Team and.. Disbanding Ceremony of the 4th POSTECH Overseas Volunteer Team and Launching Ceremony of the 5th POSTECH Overseas Volunteer TeamThe POSTECH Overseas Volunteer Program was established to help Postechians develop their talents for the nation and humanity with the core values of honor, leadership, and commitment to society.In order to express gratitude and to share the volunteers'plans with all POSTECH members, the disbanding ceremony of the 4th team and launching ceremony for the 5th team will be held on Friday, December 10th. All Postechians are cordially invited to attend this ceremony.1. Date.. 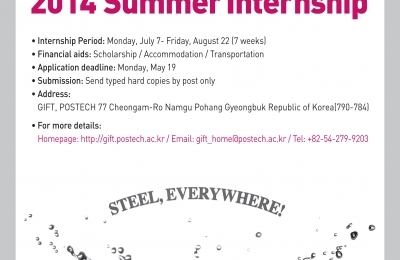 Briefing Session for the 2014 Winter POSTECH Overseas Volunteer Te..
[Briefing Session for the 2014 Winter POSTECH Overseas Volunteer Team] 1) Time & Date:19:00-20:00, Wednesday, November 19, 2014 2)Venue: Room #307, Hogil Kim Memorial Hall 3)Inquires: POSTECH Leadership Center (Yoo, Jiwoon, 054-279-8045,jwyoo@postech.ac.kr) ※ Anyone who attends the meeting will receive extra credits when applying for the program. 13th KAIST & POSTECH Science War Detailed ScheduleTimeEvent DetailLocationNote18th(Thurs)19:30~22:00POSTECH Pep RallySpecial Stage *78 Stairs19th(Fri)09:00~12:00KAIST Team and Supporters DepartKAIST12:00~13:00Packed Lunch13:30~14:00Opening CeremonyAuditorium *14:00~16:00Cheerleading Performances and video16:30~18:30Soccer CompetitionArtificial Turf Field18:00~19:00DinnerStudent Cafeteria19:00~24:00- AI Programming, LOL- Student Club Performances- POSTECH/KAIST Supporters Friendship Building EventSpecial Stage *20th(Sat)09:00~13:00Baseball CompetitionPohang Jecheol Middle School12:00~13:00P.. 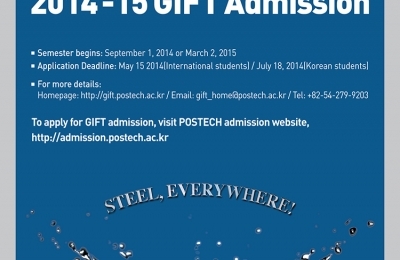 FACULTY POSITIONSPohang University of Science and Technology (POSTECH), South KoreaThe Pohang University of Science and Technology (POSTECH) is seeking outstanding scholars for tenure-track or tenured faculty positions beginning in the 2015 academic year. Applicants must have the ability to establish a strong research program on the X-ray Free Electron Laser (XFEL) which is currently under construction on campus and expected to be completed in 2016, and/or utilizing it, especially, in interdisciplinary fields. The successful candidates could be appointed jointly in multiple departments. Prefer.. 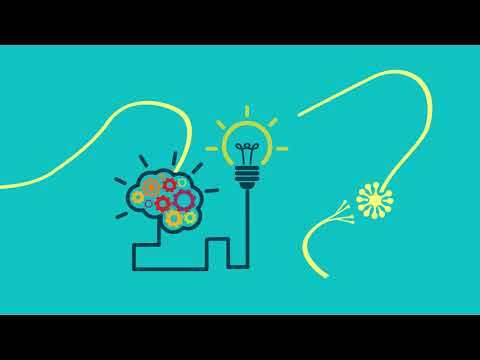 The 3rd POSTECH Cultural Content Contest in Science and TechnologyAn opportunity to enhance creativity and imaginationand give students a ch.. The 20th Commemorationof the Late Founding President Hogil Kim We will hold a commemoration on the 20th anniversary of the late founding president Hogil Kim's passing to pay tribute to his virtuous influences and his contributions to POSTECH's founding and national development. Your active participation will be greatly appreciated. 1. Visiting the grave - Departure/Arrival : April 26 (Sat), 2014, 09:30 am - 05:00 pm - Gravesite : Jirye, Andong-city - Point of Departure : Administration Bldg, in front of the flagpole - Attendee : POSTECH faculty, staff, students and anyone who wishes to ..